A designer radiator can create a stylish and functional focal point to a bathroom. For the very best in design and affordability, look no further than MBD Bathrooms and our range of radiators from Home of Ultra; radiators that deliver. With Home of Ultra radiators, you are getting quality products from one of the fastest growing suppliers of showers, taps, heated towel rails, designer bathroom radiators and accessories in the UK. And with our forty years of experience in supplying and distributing you can relax in the knowledge that our Home of Ultra radiators are the best available products on the market, at the best available prices. 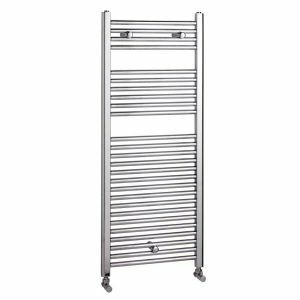 Home of Ultra radiators come in a variety of styles and shapes to complement any decor, and to fit into any bathroom space – vertical designer radiators, horizontal designer radiators and designer towel rails. We have Home of Ultra radiators with straight multirail, for a sensible, uncluttered finish; we have Home of Ultra radiators with curved multirail, for sleek, modern designs; we have designer radiators in eyecatching wave and staggered designs, or more traditional bathroom radiators for earnest bathrooms. A variety of finishes are available, including chrome, white and anthracite.